In generating profit for a business, the key is not just in attracting customers, but in retaining them and increasing their spending. A key way that a variety of corporations encourage their patrons to keep using their services is by organizing customer loyalty programs. The first official program appeared in the 19th century, when faithful customers could redeem business issued “green stamps” for a bevy of products. Nowadays these customer loyalty programs range from loose stamped business cards to sophisticated personalized metrics. In all cases, however, there are 4 characteristics that increase the success of such a program. 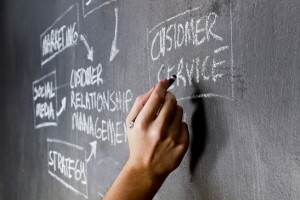 A customer loyalty program must be direct and clear in what it offers and how it works. Subway, the major sandwich chain, provides an excellent case study. At its inception, the Sub Club program offered customers a card which, when filled with stamps, could be redeemed for a free meal. However, to battle the forging of Subway stamps, the chain remade their rewards membership with complicated policies and slim returns. This not only negated all the positive feelings generated by the old, successful program, but filled up the internet forums with disparaging comments about the new one. Customer loyalty cannot sustain itself for long while contending with a strong negative reaction against the program. The eternal question of the buyer is, “What’s in it for me?” The most profitable loyalty programs work to customize their offerings for the customer. Caesar’s Entertainment, a casino and hotel conglomerate, uses a detailed metric to develop a detailed picture of each customer’s spending habits. By keeping meticulous track of how their greatest spenders dispose of their money, the company can offer them rewards targeted to their interests, whether they are directed, for example, towards further gambling or for taking in a show. A responsive attitude on the part of the retailer reflects well on the program as well as on the company itself. Gaining rewards from a company should be a natural extension of buying their product. The strongest programs are those that make gaining arbitrary points in the system an automatic part of the process. In such a way, there is no disconnect in the consumer’s mind between shopping at a certain location and gaining rewards from it. Frequent flyer credit cards provide an excellent example of this technique. As a person spends money on daily items, they are keenly aware that they are raking up redeemable points. Because the payoff is in some way instantaneous, the members may be encouraged to spend more simply to keep raking in the benefits for themselves. According to a recent Pew Research study, 46% of Americans now own a smart phone. In the changing technological landscape, corporations that can offer new and interesting customer loyalty programs gain a distinct advantage. Not only does a novel process generate good buzz among consumers, if the system is well-implemented, it can become a fun part of patronizing a certain business. The Starbucks App, which allows people to pay for their coffee with their smartphone, provides coffee-drinkers with a fast way to rack up purchases. Requiring 15 purchases to get a complimentary drink of their choice, Starbucks facilitates smartphone payment and then displays the loyalty program’s details on the phone itself. The process is self-contained, interesting, easy, and helped (in addition to other factors, of course) the company increase their total revenue by 16% this year. Ease of use is the most important point you make. I have an example of two local markets, they both have loyalty programs but with one, you have a card on your keychain that you swipe to get your discounts. The other store decided the keychain card was too much effort and had a pin number that you type in after typing in your phone number first. I already have my keys because I drove to the store so why wouldn’t I just swipe my card and be done with it. I can’t remember my own phone number much else a pin to go with it. Hey Melvyn – it’s a great point that you raised, and I’m glad I’m not the only person who has to get their phone out to look up their own phone number when someone asks for it! I agree ease of use is most important of all. Customers should see clearly how they will benefit. And along with that. I think it’s important also for the rewards to be achievable, and the sooner the better. I was in one of those online loyalty programs a few years ago and I dropped out because it took so long to be able to claim the reward. Points accumulated throughout the calendar year and you did not get your gift card until early in the next year. Much too long to wait! Companies need to remember that people are conditioned these days to get instant or near-instant rewards, especially online. Next post: Is Paying For SEO Software Necessary?